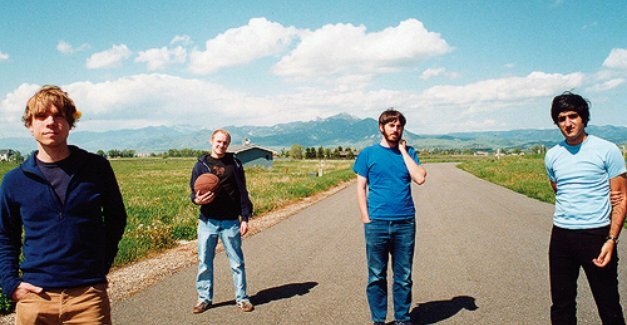 As they enter their sixteenth year as a band, Explosions in the Sky have taken to Facebook to fill fans in on the status of their band. In a statement posted Friday night, the band has apologized for months of “hibernation” after a few years of writing soundtracks and contributing to other projects. The band promises that 2015 will be spent writing and recording for a new album, which should be released shortly thereafter. Explosions In The Sky also want you, the fans, to know that you’re highly appreciated. If this means that a new Explosions In The Sky record is coming later this year, this is nothing but good news. You can read the band’s full statement below. Sorry that we’ve been running silent for awhile. The last few years have been pretty hectic for us (touring, working on soundtracks, etc. ), so we’ve spent the last few months in hibernation. 2015 will also be on the quiet side, at least as far as touring and shows are concerned. This is because we’ll be spending most of our time writing and recording stuff for a new album. We’re well into the process, but we still have a ways to go. We’re pretty excited about what we’re coming up with and we’ll keep you posted as we go. Anyway, we just wanted to say welcome to 2015 and we hope it goes okay for all of you. We’re now in our sixteenth year as a band and we’re grateful every single day that you’re still listening. Take care.